The Texas comedy scene is vibrant. On any given night, you’ll find nationally-touring comic legends passing through the Lone Star State. Head down to Austin for world-class entertainment or maybe visit Dallas for a cozier comedy house paired with some great drinks. Whatever you prefer, there is a fantastic show waiting every night at these 10 great comedy spots in Texas! Hyena’s Comedy Nightclub has locations in Fort Worth, Dallas, and Plano. Thursday night shows are always free with a two-item purchase per person. Friday and Saturday also have special deals. Past headliners include Second City’s Rob Little, MTV’s Pauly Shore, and actor/comedian/director Bobcat Goldthwait. Check their website for a full list of upcoming acts and to purchase tickets. The Capitol City Comedy Club has brought world-class comedy to Austin, Texas for the last 30 years. Famous comedians, such as Joe Rogen, Ron White, Ellen DeGeneres, Dave Attel, and others, are frequent guests. Cap City Comedy hosts the annual “Funniest Person in Austin” contest, the winners of which have gone on to fame and fortune. 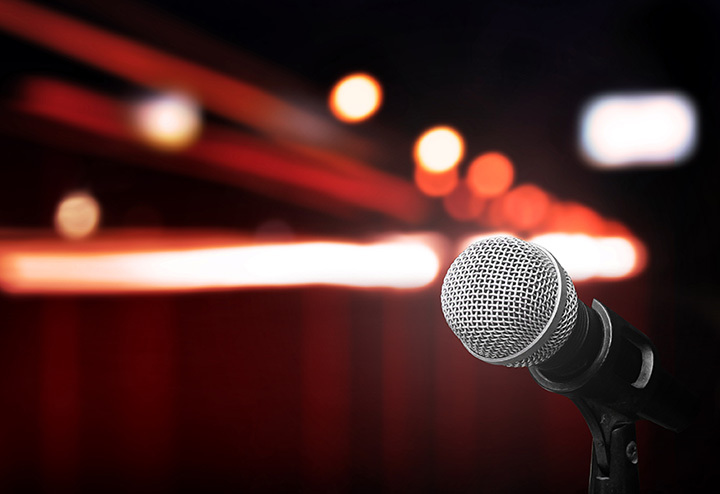 Join for an open mic night or get a ticket to an upcoming headliner—you’ll always have a good time. The Dallas Comedy House is more than just a comedy club: according to their website, it is “the premier training center and performance venue for comedy in Dallas.” There’s a new show almost every night of the week. During the days, you can take a class to improve your improv, sketch comedy, stand-up, and basic storytelling. Stop by the bar and kitchen during any show for a quick bite to eat or drink. Little sum sum from my set tonight. New to this standup thang so it’s a work in progress. Four Day Weekend Comedy is a critically-acclaimed comedy group, having been voted Best Comedy and Best Entertainment Experience in Texas. They’ve performed for presidents and congress, and even been awarded the key to the city. In addition to their regular show, the Four Day Weekend training center “was founded to nurture and develop a growing interest in the art of improvisation.” Classes for ages 18 and up are now available. Bart Reed’s Comic Strip in El Paso, Texas, has been in business for over 30 years. Comedy Ink Magazine has voted the Comic Strip “The Best Comedy Club” in Texas,” and is currently the longest running comedy club in the state. Top comedians, including Tim Allen, Steve Harvey, Jim Carrey, Lewis Black, Tommy Chong, Jeff Dunham, and many others have performed. Stop by Wednesday through Sunday for a live show. The Comedy Arena in McKinney, Texas, presents ComedySportz improv shows. The conceit of a ComedySportz show is that each performance is a “match” between two teams of players, scored by the amount of laughs each time gets. The performances are for all ages. In addition to performances, the Comedy Arena hosts regular improvisational classes for adults. ComedySportz also offers a high-school league. Improv Comedy Theater and Restaurant in Arlington, Texas puts on regular shows and offers event space for 20-300 people. Almost every night brings in a new event, including stand-up, improv, karaoke, open mic, and comedy and magic. Check their website for a full calendar of events before stopping by. Get dinner while you’re here and enjoy the show. Mesquite St. Comedy Club is located in downtown Corpus Christi, and has brought in the likes of Pauly Shore, Jim Breuer, Todd Bridges, and Carlos Mencia. Tickets are affordable and shows start around 9 p.m. Wednesday through Saturday. Stop by the bar on your way in to get a cocktail before settling in to your seat for a night of fun. Zingerz Comedy Club separates itself from the pack by being aggressively family friendly. While other clubs on this list allow visitors of all ages, Zingerz is specifically designed for family’s. The improv is always clean with affordable tickets. Stop by concessions on your way in for a personal popcorn, drink, candy, or cookie. Instead of a night out at the movies, why not introduce your brood to the wonderful world of live comedy? View more Texas Comedy Clubs.